Opening August 7, the animated film Kahlil Gibran’s The Prophet is based on Gibran’s seminal work but is seen through the eyes of a young girl named Almitra (Quvenzhané Wallis) who’s living in a Mediterranean seaside town. Initially unable to speak due to the tragic death of her father, Almitra finds solace and inspiration in an exiled poet named Mustafa (Liam Neeson). Hayek serves as the voice of Almitra’s mother Kamila. 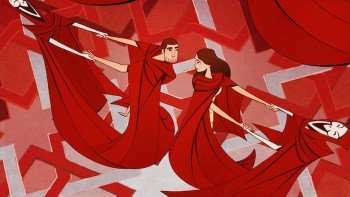 Featuring songs from Damien Rice, Glen Hansard, and Yo-Yo Ma, along with animation work from Tomm Moore, Nina Paley, and Bill Plympton, the movie is filled with skilled collaborators who interpret Gibran’s resonant message. “This is a movie that, if you watch it with your children, or with your teenagers, or with your parents or your grandparents,” says Hayek, whose previous producing credits include the TV series Ugly Betty and The Maldonado Miracle. “Everybody’s going to have an intimate experience with the film. John Krasinski, Frank Langella, and Alfred Molina are among the other voice actors in the film. To read how Salma Hayek’s trip to Lebanon changed the course of Kahlil Gibran’s The Prophet, please go to Deepest Dream. 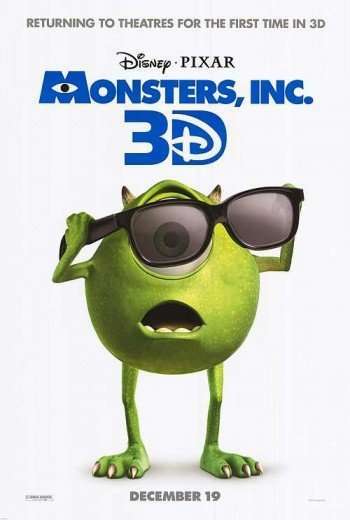 Currently in theaters to take advantage of the holiday family film market, MONSTERS, INC 3D is the latest Disney/Pixar offering to get dusted off and digitally remastered in order to join the current 3D revival. 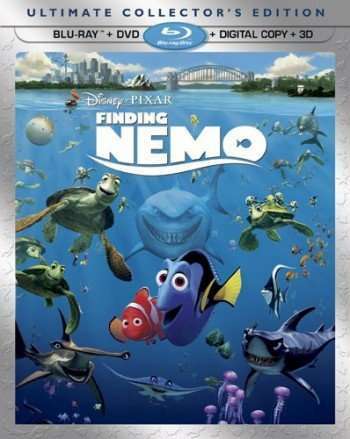 A complete fan fave when originally released almost 12 years ago, the film was co-written and co-directed by PETE DOCTER and featured the voice talents of BILLY CRYSTAL, JOHN GOODMAN, JOHN RATZENBERGER, STEVE BUSCEMI, JAMES COBURN, BONNIE HUNT and JENNIFER TILLY. 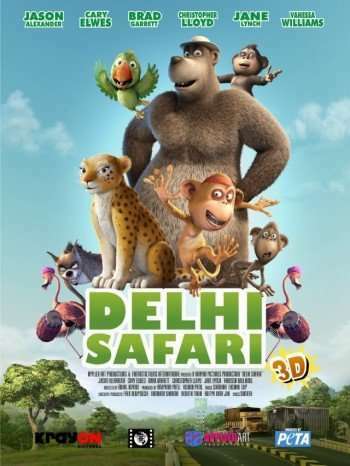 Opening in theaters this week, the animated 3D family film DELHI SAFARI mixes social consciousness with madcap comedy in an effort to educate while entertaining. Centering on a group of wild animal determined to stop builders from encroaching on their preserve, the film has been endorsed by several special interest groups such as PETA and The Humane Society. Co-written and directed by NIKHIL ADVANI, the all-star voice cast includes TARA STRONG, CARY ELWES, VANESSA WILLIAMS, BRAD GARRETT, CHRISTOPHER LLOYD, JASON ALEXANDER and JANE LYNCH.